I NEVER THOUGHT OF HIM!! I kept going with Gina Torres or Chris Pine (both of them wearing lots of leather and “chrome” jewelry) whenever someone would ask me, but damn Tituss Burgess would be awesome too! 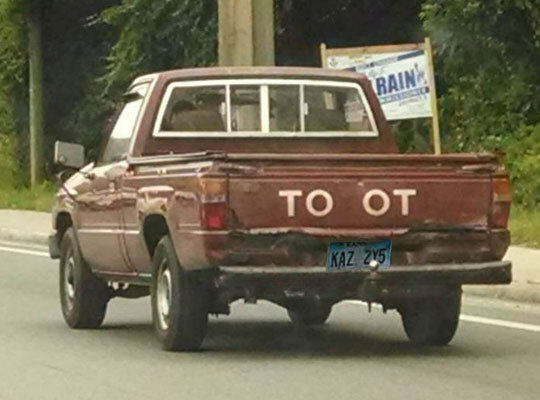 Sam and Dean drive around the country in a Toyota pickup named Toot. It gets great gas mileage, and Dean can find parts for it everywhere they go. Dean thinks it’s the greatest truck ever. Sam thinks it’s fugly, but damn if it isn’t dependable.